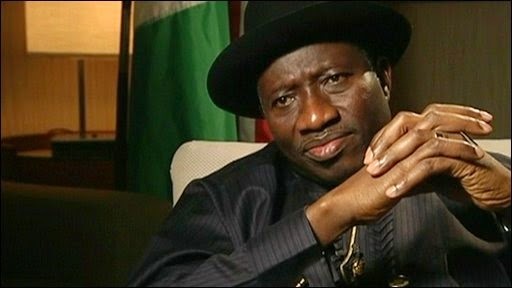 The Peoples Democratic Party (PDP) said on Sunday that the Ebola Virus disease was brought under control in the country in record time because President Goodluck Jonathan refused to politicise it. The PDP National Publicity Secretary, Olisa Metuh, who stated this in a statement in Abuja, said President Jonathan took the bull by the horns. According to him, the President did this through an aggressive multi-sectoral approach for the treatment, awareness and control of Ebola to the admiration of Nigerians and the international community. Metuh observed that it was public knowledge that immediately the disease surfaced in the country, the PDP-led Federal Government swung into action and co-ordinated intervention efforts with the Lagos State Government. This, he noted, was also extended to Nigerian medical personnel and international health organisations with a view to bringing the virus under control. He further noted that the multi-sectoral approach by the government in collaboration with relevant bodies and the massive awareness resulted in the containment of the Ebola virus in the country. Metuh criticised the All Progressives Congress (APC) for yet another failed attempt to discredit the PDP-led federal government and relegate its efforts in the containment of the Ebola Virus disease. According to him, the APC was frustrated and unhappy because Nigerians were happy with the PDP-led Federal Government for the speed and energy with which it tackled the scourge. “We know that the APC prefers that the Ebola scourge continued unabated in Nigeria so as to have what to blame the PDP-led government for. “Now that it has been contained, the APC is frustrated because the people are happy with President Jonathan and the PDP-led Federal Government for the proactive manner with which the disease was confronted and overcame. “Apart from concerted collaborations using the Federal Ministry of Health, it is on record that President Jonathan released N200 million each to Lagos and Rivers States to help in fighting the disease,’’ he said. He said the President recognised the efforts of all Nigerians, especially medical personnel including “the brave and courageous Dr Ameyo Adedavoh’’, who made sacrifices in containing the virus. He maintained that at no time did the PDP or the President relegate the contributions of the Lagos state government on Ebola. “The President acknowledged the Nigerian Spirit which made the citizens to put their religious, political and ethnic differences aside in fighting this common enemy. “This included PDP national officers who personally and collectively engaged in various activities in containing the scourge including creating awareness through the #EBOLAIceBucketChallenge and personal financial donations,’’ he said. Metuh added that no amount of propaganda and blackmail could take this away from the PDP. He noted that while the PDP-led Federal Government was making effort to contain the virus, the APC was busy seeking political capital out of the unfortunate situation. He called on Nigerians to be wary of the APC propaganda mill, noting that the party had also attempted to gain political capital out of the unfortunate abduction of the Chibok schoolgirls. The PDP scribe maintained that the success on Ebola was because the government swung into action and did not allow any room for Nigerians to be misled by anybody. He, therefore, advised the APC “to desist from always trying to divide Nigerians by politicizing serious national issues for selfish and unpatriotic reasons”. “We must continue to give the credit of the Ebola victory to the Nigerian spirit; the spirit that unites and binds us together through all our challenges as a people. “Indeed, if we overcame Ebola, then we can overcome all our present challenges no matter how insurmountable they may appear.